Well cruising Canadian Tire with my husband this weekend with my Canadian Tire cash in hand. I love Canadian Tire money.. free money for making purchases there. Seriously weren't they the first place to start this?? Anyway I love them for it. So back to my story... while cruising the tool pouch aisle I spot the bucket tool pouch. Meaning you put the tool pouch in a bucket and viola... tools all organized. 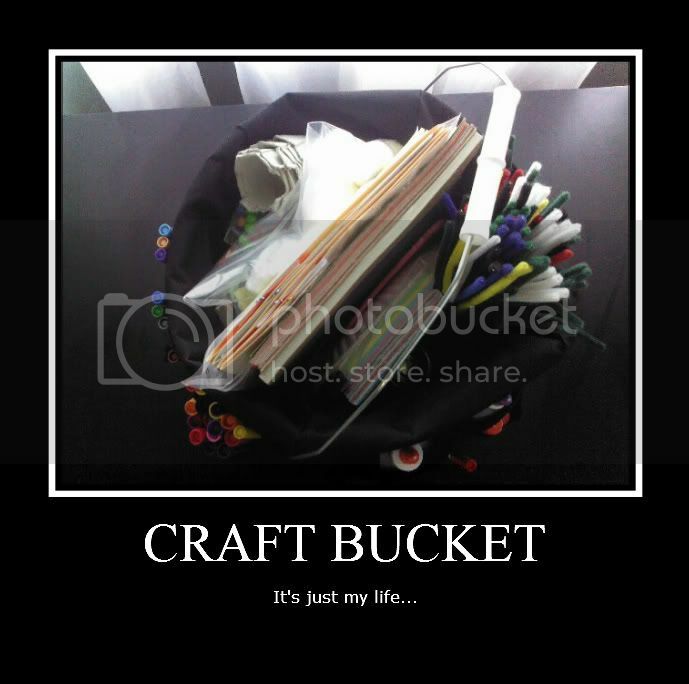 Well since I don't have that many tools to organize but I do have TONS of craft supplies for my child... why not change it into a Craft Bucket!! Brilliant I know!!!! 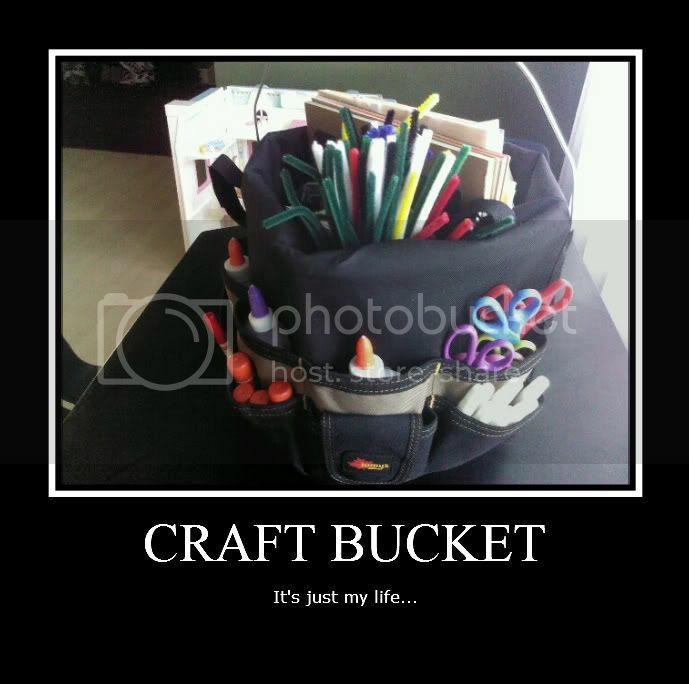 So for around $10.. save your Canadian Tire money.. head to CT and purchase a tool bucket pouch and turn it into a craft supply bucket. I can't even tell you how excited my 7 year old is to dive into this bucket full of supplies and I know the kids on Monday are going to be more than excited!!! 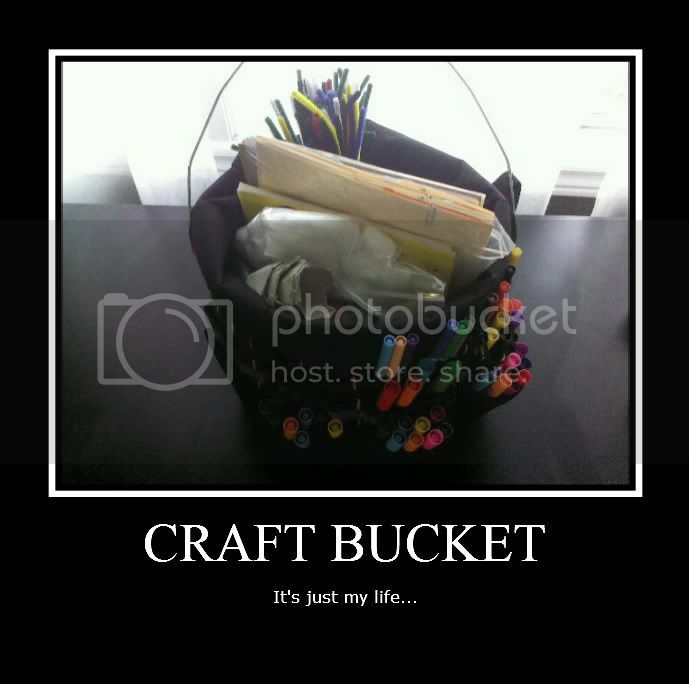 Happy Crafting to all my friends!!! !